« Lessons from a Turtle!!! 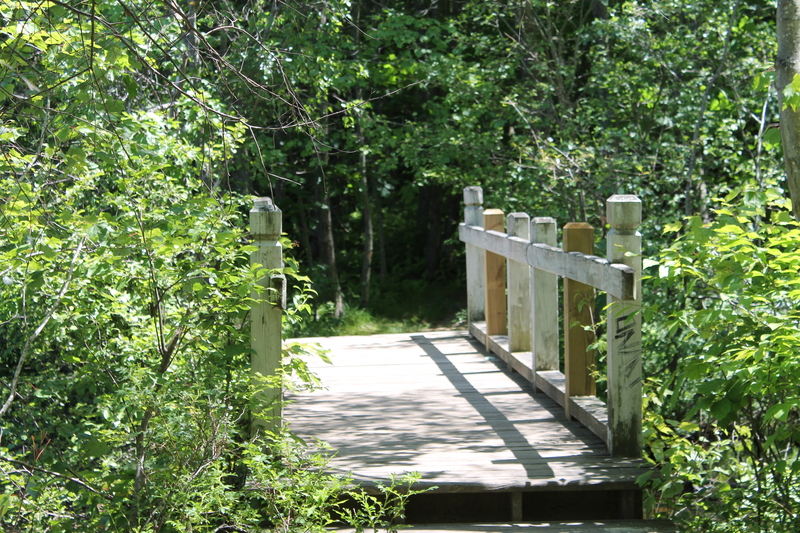 this is a picture I took at Hinkley Park the other day. This was my third pass over the bridge, (I’ll supply the picture of that as well.) and looking into the water, I saw the cutest baby turtle at just under 3 inches around. 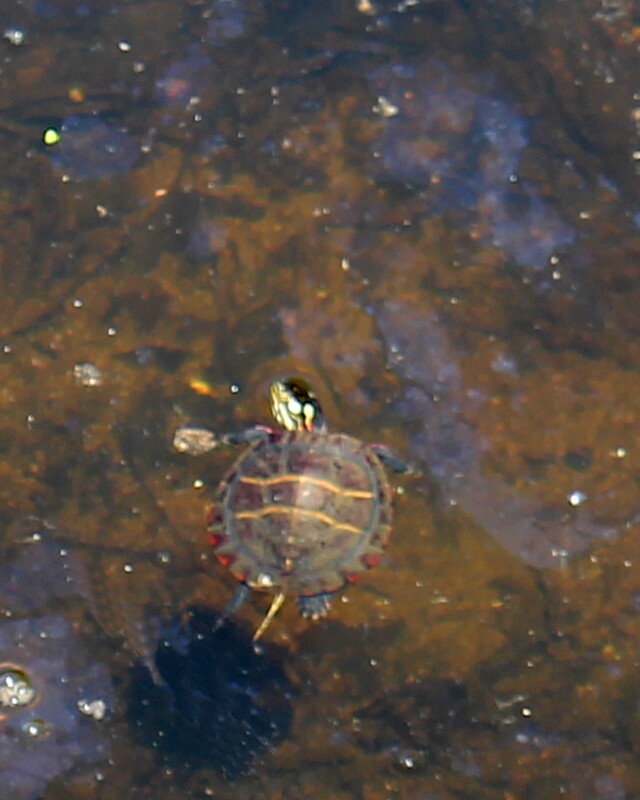 The baby is an Eastern Painted Turtle, which are common in this area. I’ve seen a lot of the turtles, but this is the first time I’ve ever seen a baby. This entry was posted on June 21, 2012 at 8:37 pm and is filed under Uncategorized. You can follow any responses to this entry through the RSS 2.0 feed. You can leave a response, or trackback from your own site. Turtles were backyard pests in my native Texas but in eighteen years here in San Diego I’ve only seen one turtle in the wild. Now over at the San Diego Zoo, they not only have lots of turtles but they have lots of baby turtles each year. I love seeing them, it still amazes me that turtles are the only creatures with both an endo, and exoskeletons.